bhindi masala recipe | bhindi masala gravy recipe | okra masala curry recipe with detailed photo and video recipe. 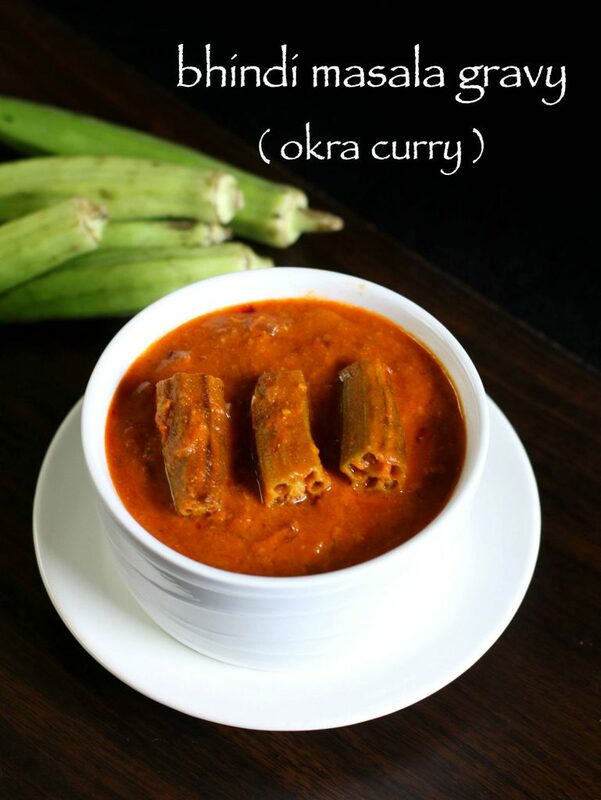 a ladies finger curry recipe, which is unique blend of indian spices with tomato – onion sauce. it is typically consumed with roti and chapathi but can also be extended with plain rice or jeera rice. 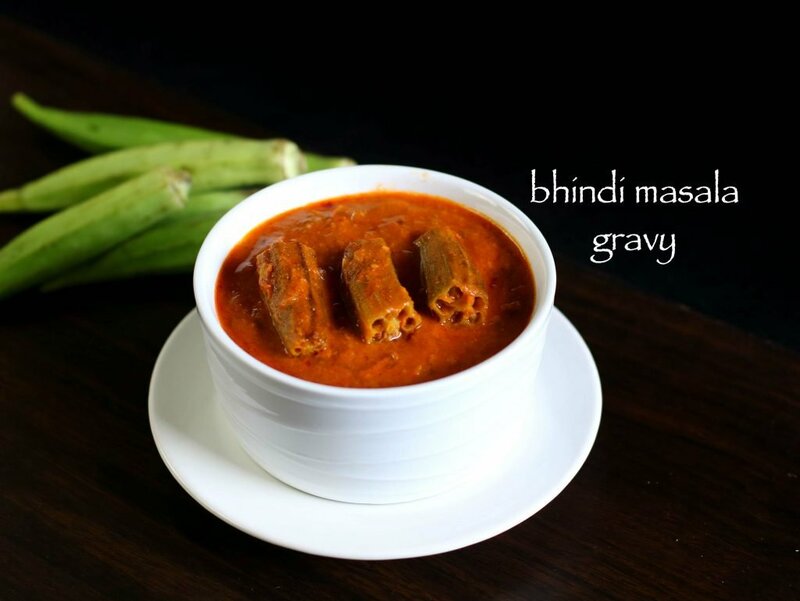 bhindi masala gravy recipe is popular north indian curry recipe coming direct from punjabi cuisine. 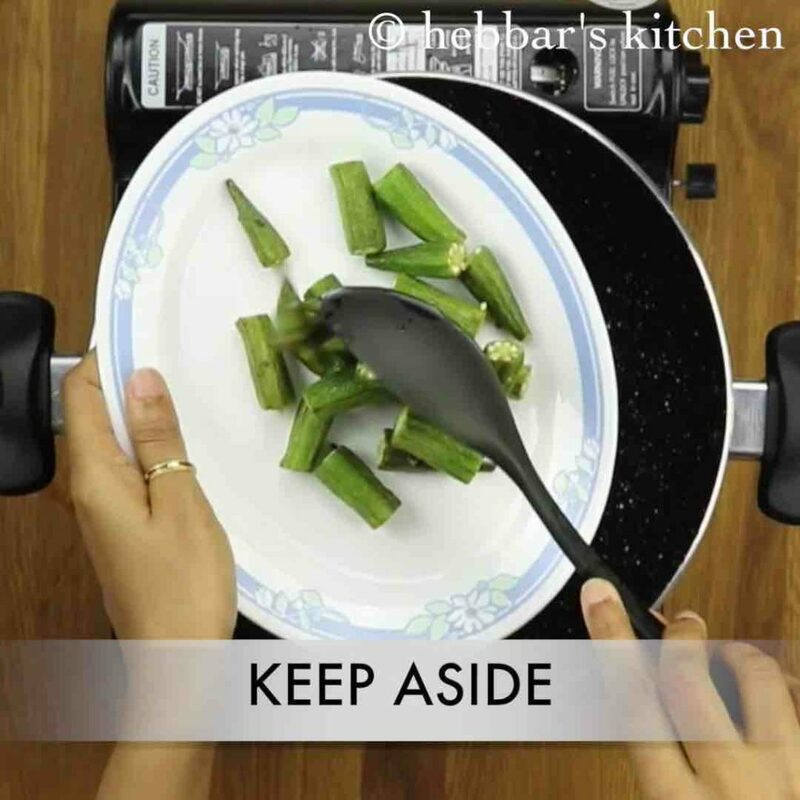 bhindi masala recipe | bhindi masala gravy recipe | okra masala curry recipe with step by step photo and video recipe. 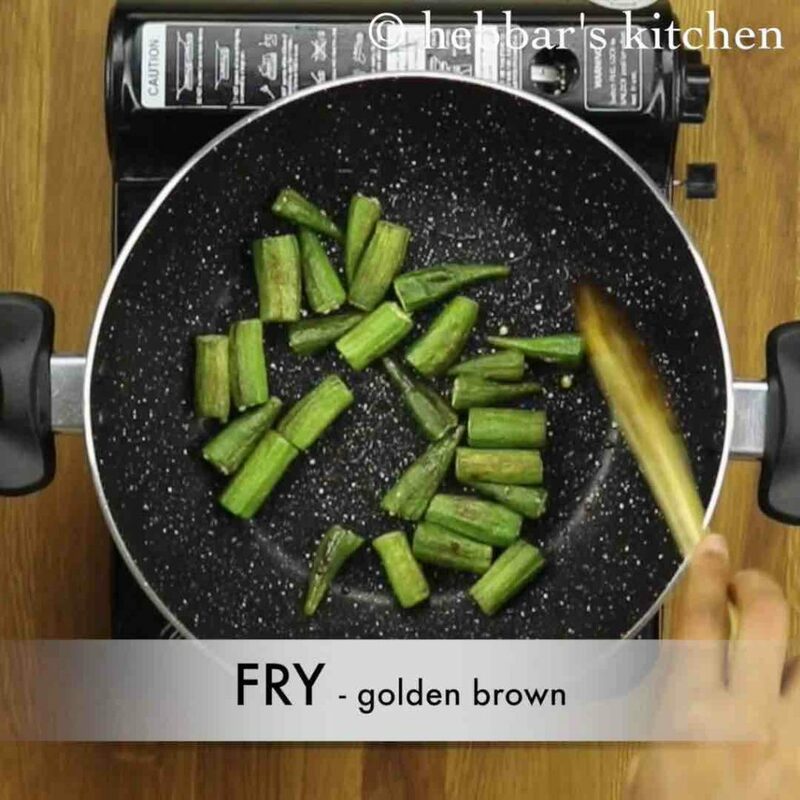 indian okra recipes are always popular all over the world, however bhindi masala curry has a special place and is widely appreciated. masala bhindi can be prepared in 2 ways – one with curry or gravy which is tomato – onion based sauce and other with dry ingredients. i am big fan of north indian curries, especially the paneer based curries or recipes. however bhindi recipes or okra recipes is an exception and especially the bhindi masala with gravy. luckily even it is favourite recipe to my husband. hence whenever we go out for dinners, paneer or bhindi recipes is always on the menu. i personally like the combination of jeera rice or matar pulao with okra curry recipe. 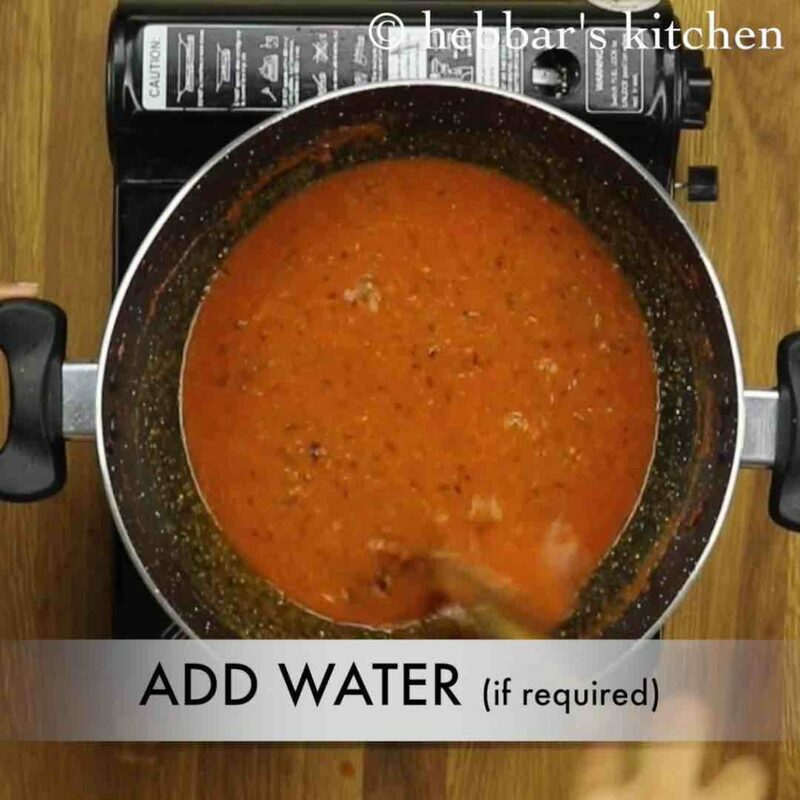 while the preparation of bhindi recipes are extremely easy, but some considerations for perfect gravy. firstly, whenever you shop of okra, try to buy tender okras. the best way to determine a tender okra is by snapping the tip of okra. if you can easily snap then it is tender. 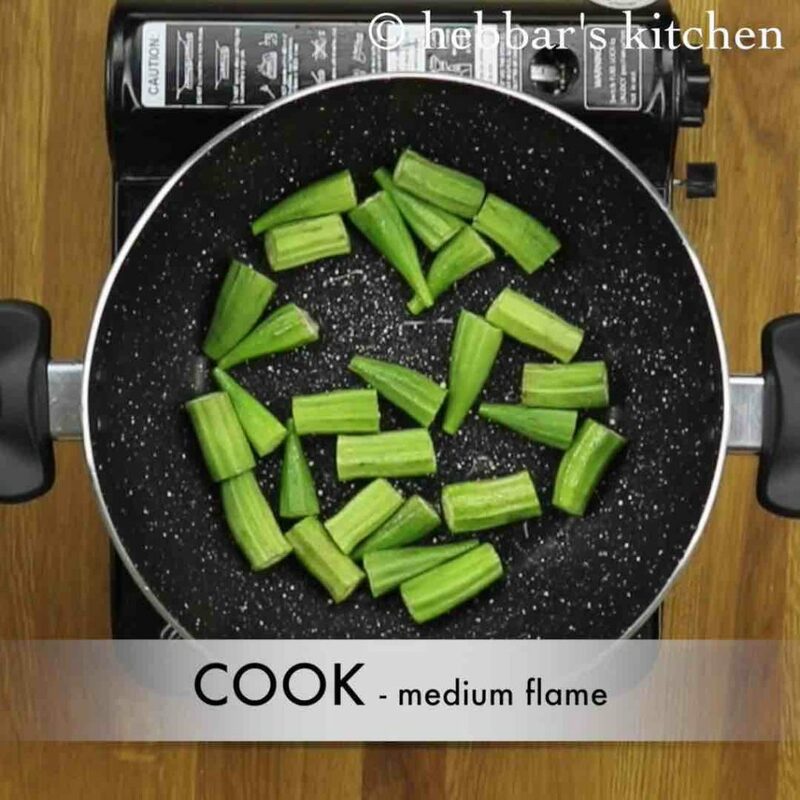 secondly, always wash okra properly and then wipe them dry before chopping it. 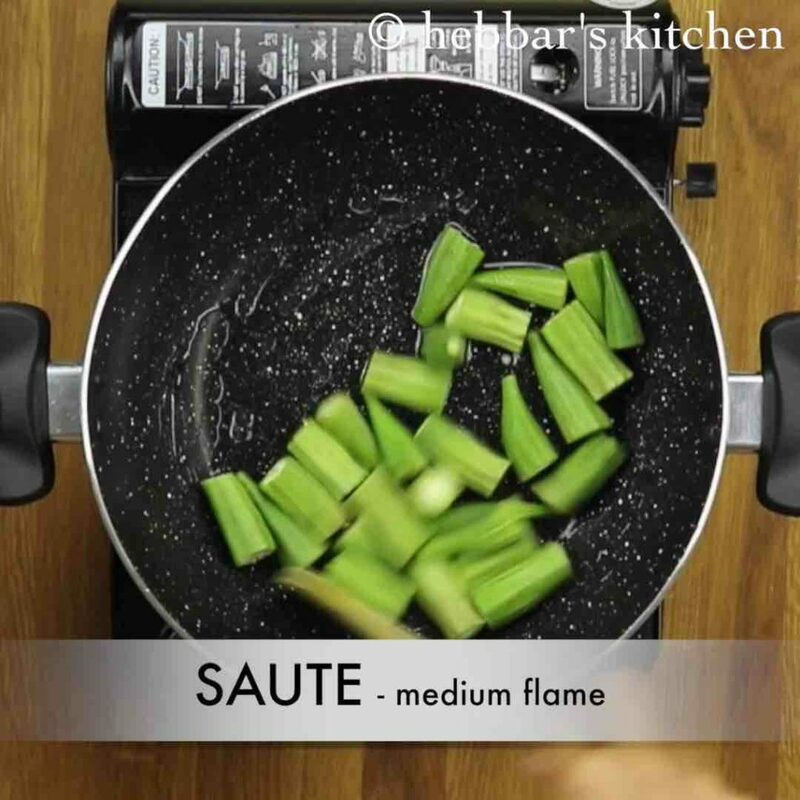 with the presence of moisture, okra would release its latex. 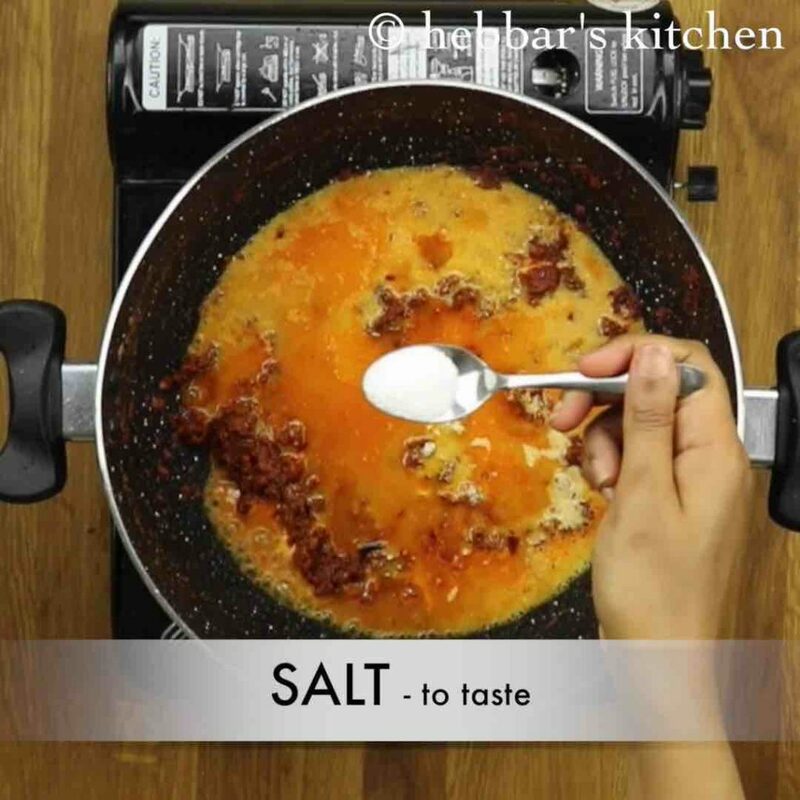 lastly, you can also add slit capsicum with the gravy to have rich chilli and sweet taste. firstly, in a large kadai heat oil and saute bhindi. sauté on medium flame stirring occasionally. 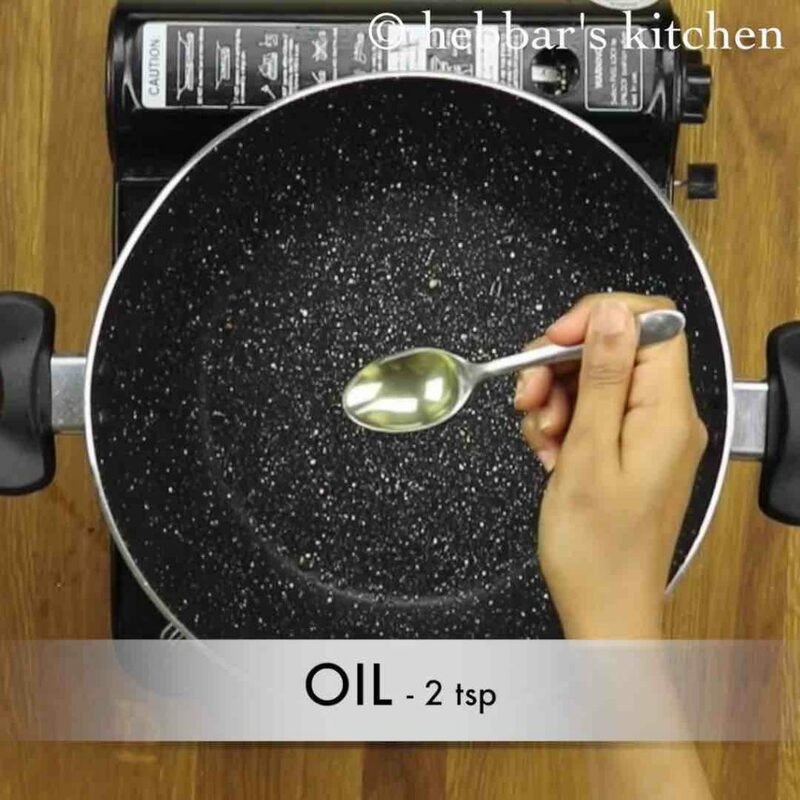 now in the same kadai add 2 tsp of oil if required. also add jeera and sauté till it turns aromatic. furthermore, add ginger-garlic paste and sauté. 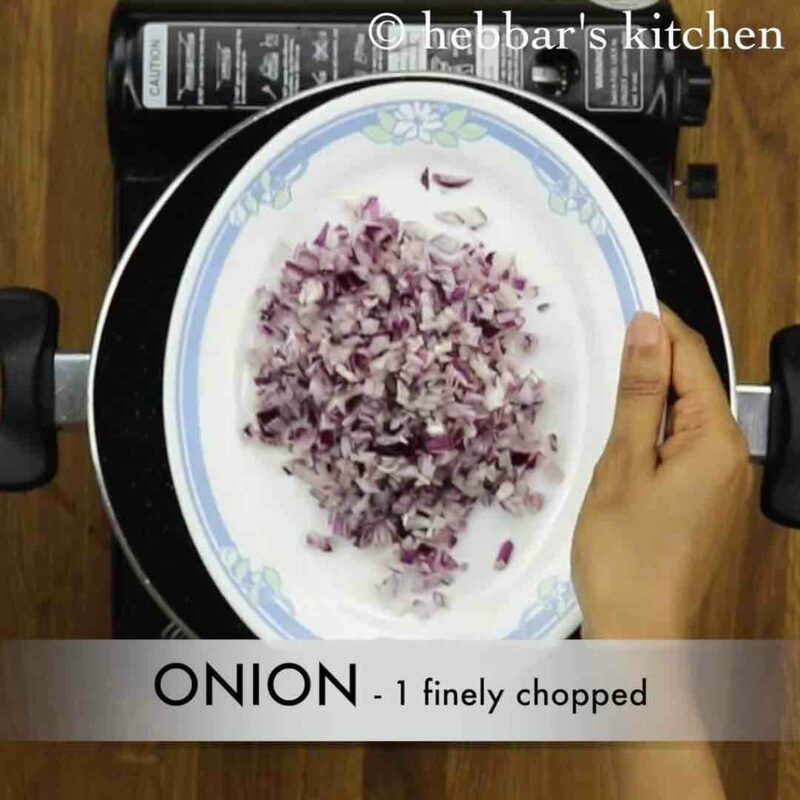 also add onions and continue to sauté. 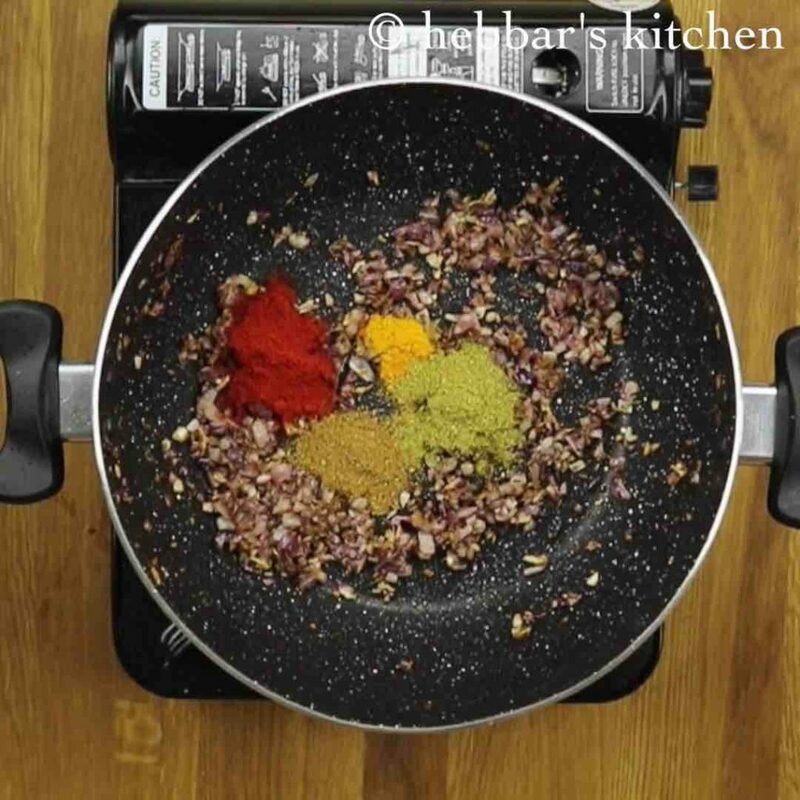 add spices like chili powder, turmeric, coriander powder and garam masala. 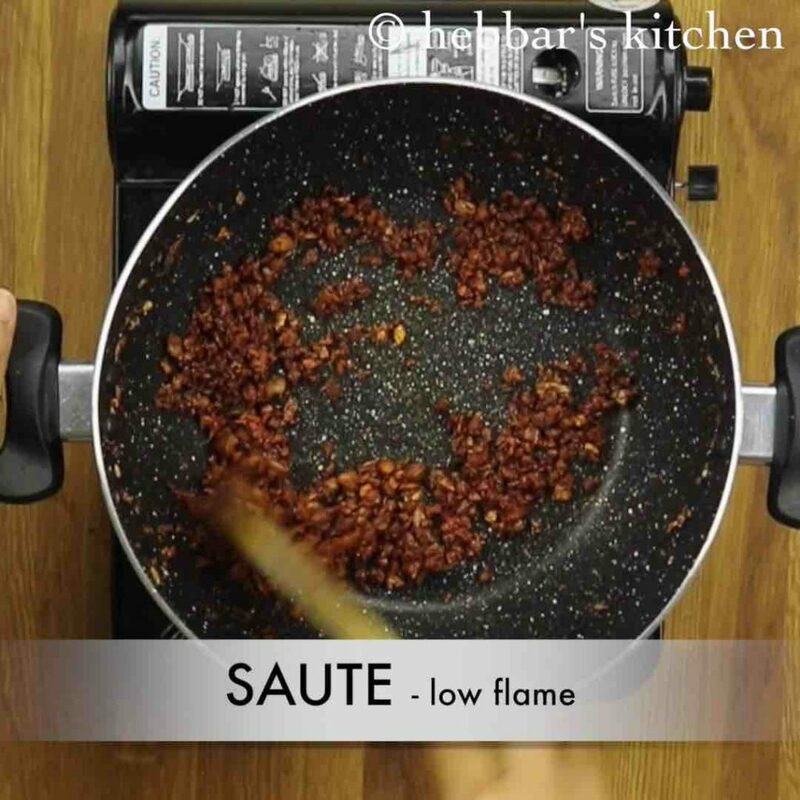 sauté for a minute on low flame till the spices are cooked well. 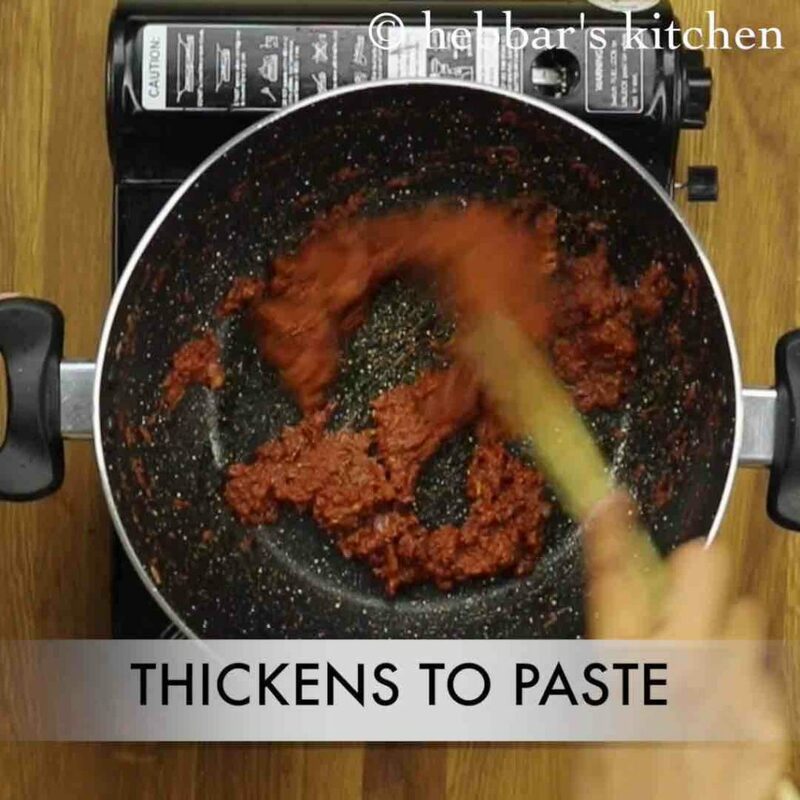 now add tomato pulp and sauté continuously till the oil separates and forms thick masala paste. now add cashew paste, salt add water as required to adjust the consistency. get the gravy to boil. further add sautéed bhindi and mix gently. 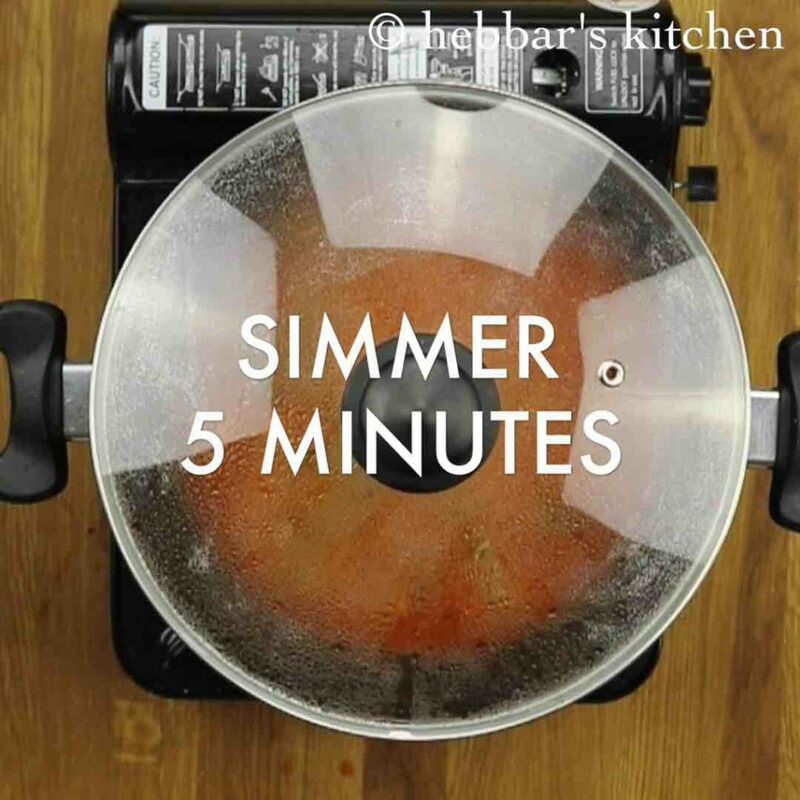 cover and simmer the gravy for 5 minutes. 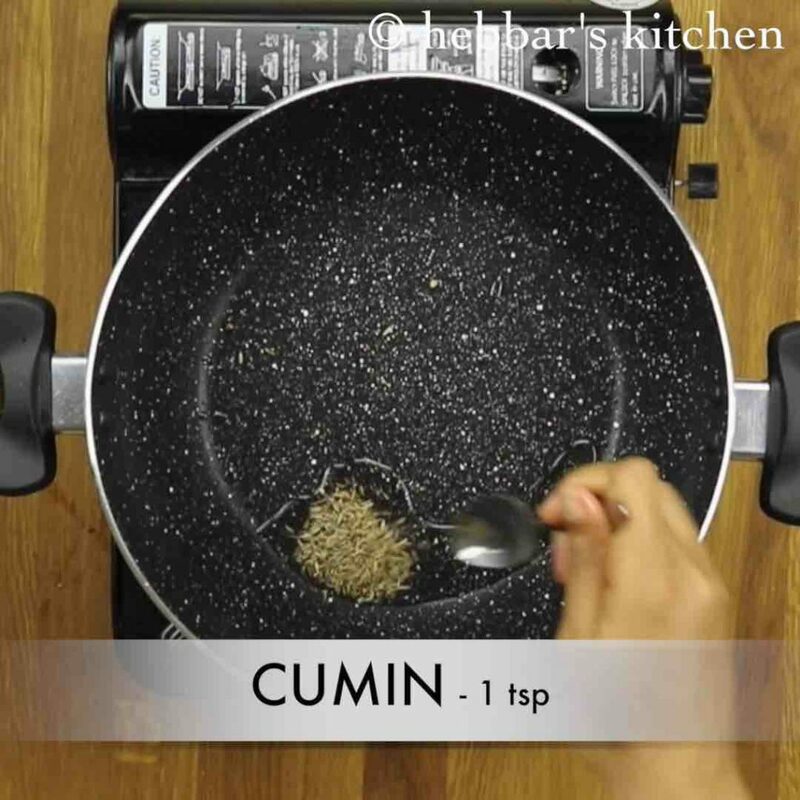 now add coriander leaves and mix well. 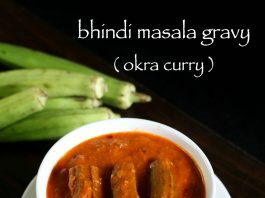 finally, serve bhindi masala gravy / okra masala curry with plain rice, chapathi or roti. further add chopped bhindi of 1.5 inches length. make sure to take fresh and tender bhindis. else they turn to be chewy. also make sure to cook on all sides. further saute the bhindi till golden spots appear and also okras shrink in size. 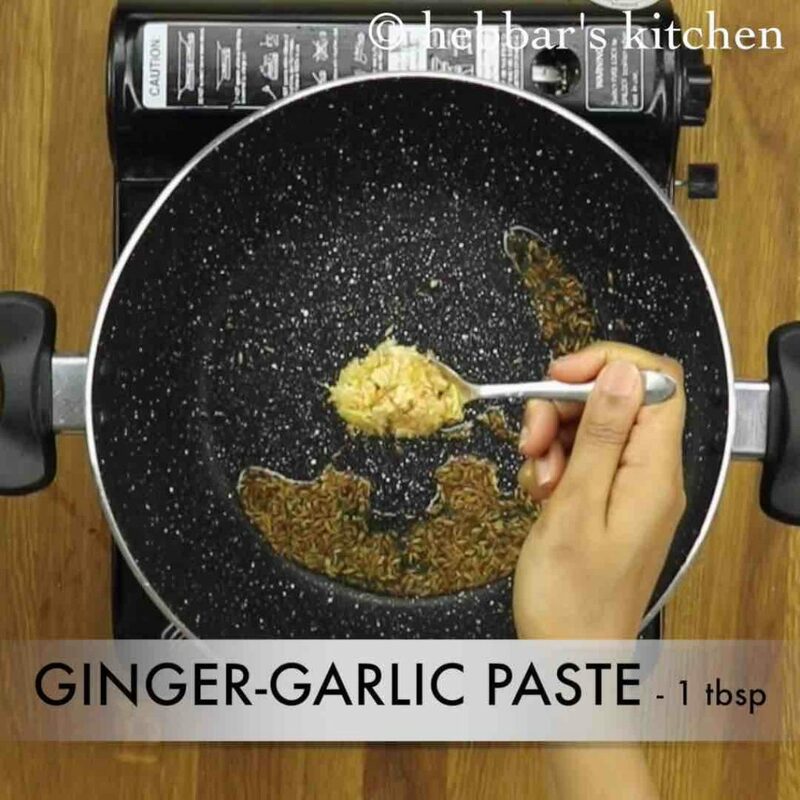 furthermore, add ginger-garlic paste and sauté till the raw smell disappears. also add onions and continue to sauté till they turn slightly golden in colour. now add tomato pulp. 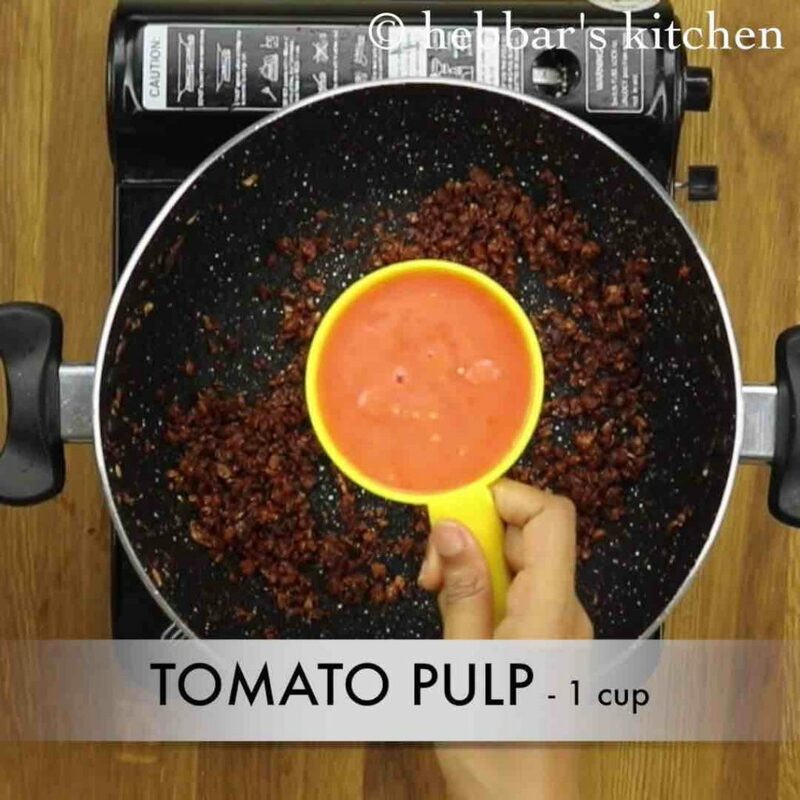 to prepare tomato pulp, blend 2 large tomatoes without adding any water. keep stirring on low-medium flame without burning at the bottom. 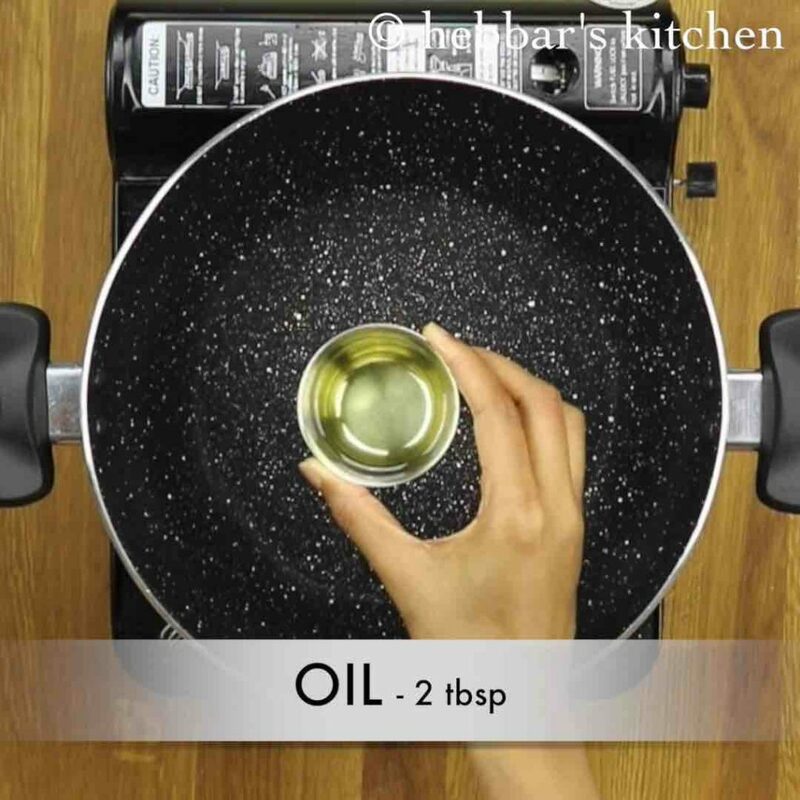 also sauté continuously till the oil separates and forms a thick masala paste. now add cashew paste to make a creamy gravy. 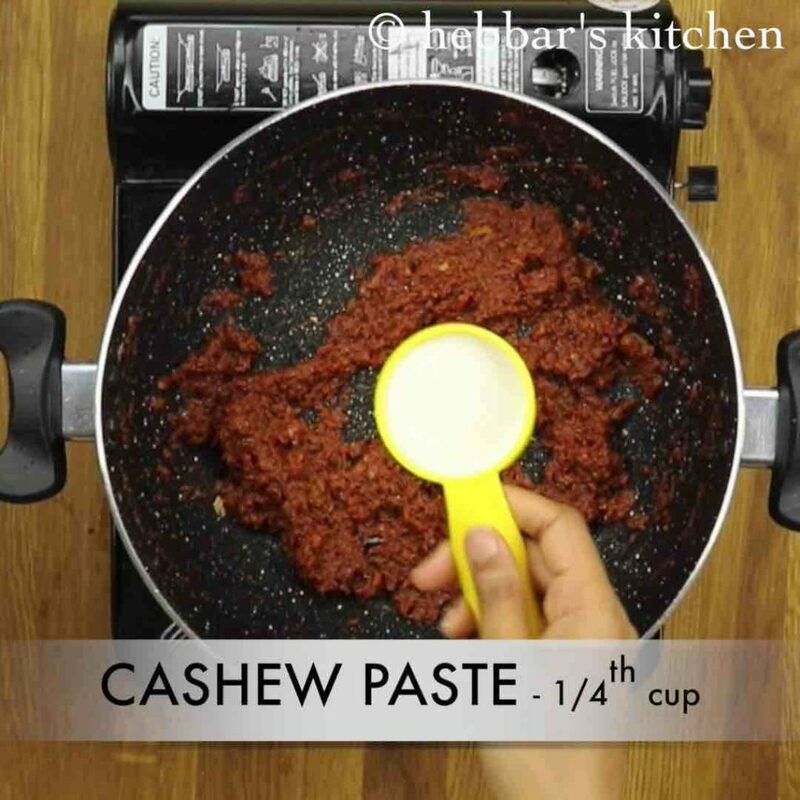 to prepare cashew paste, soak 7 cashews in ¼ cup of warm water for 15 minutes and then blend to smooth paste. 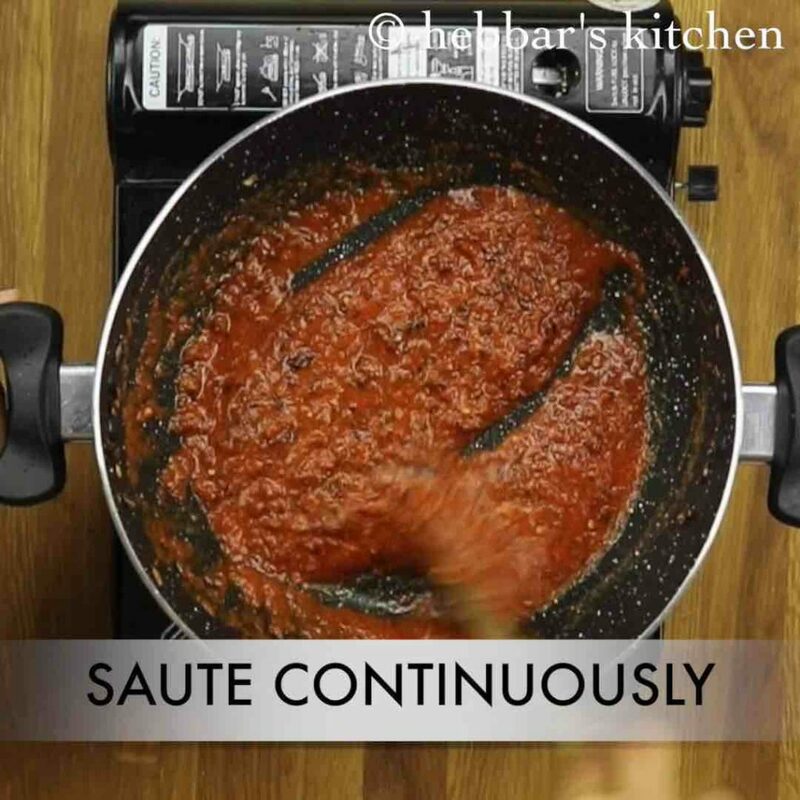 also add water as required to adjust the consistency and get the gravy to boil. cover and simmer the gravy for 5 minutes. 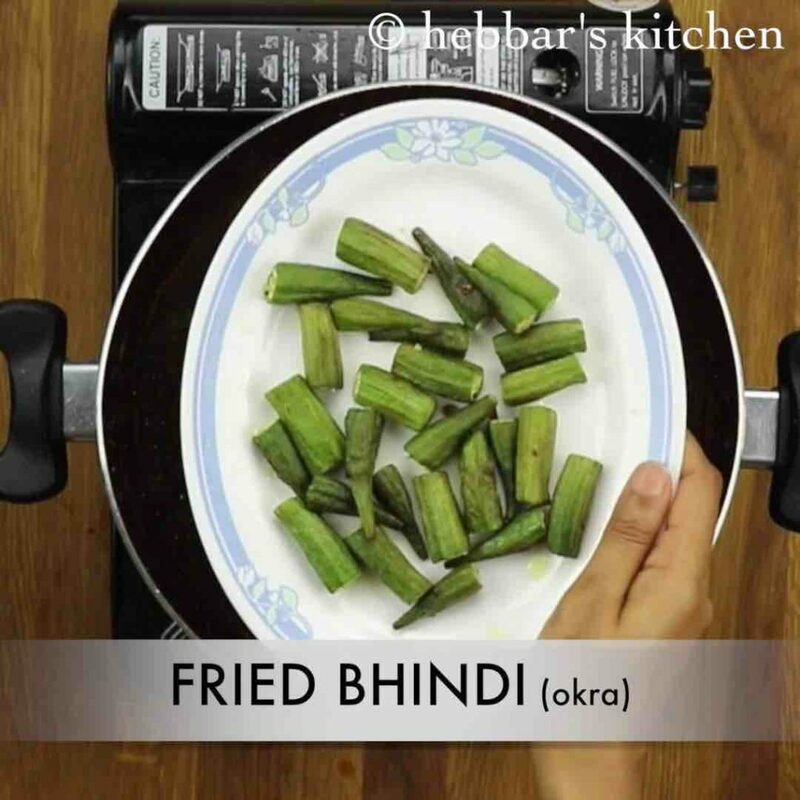 do not over cook as the bhindi will turn soft and soggy. 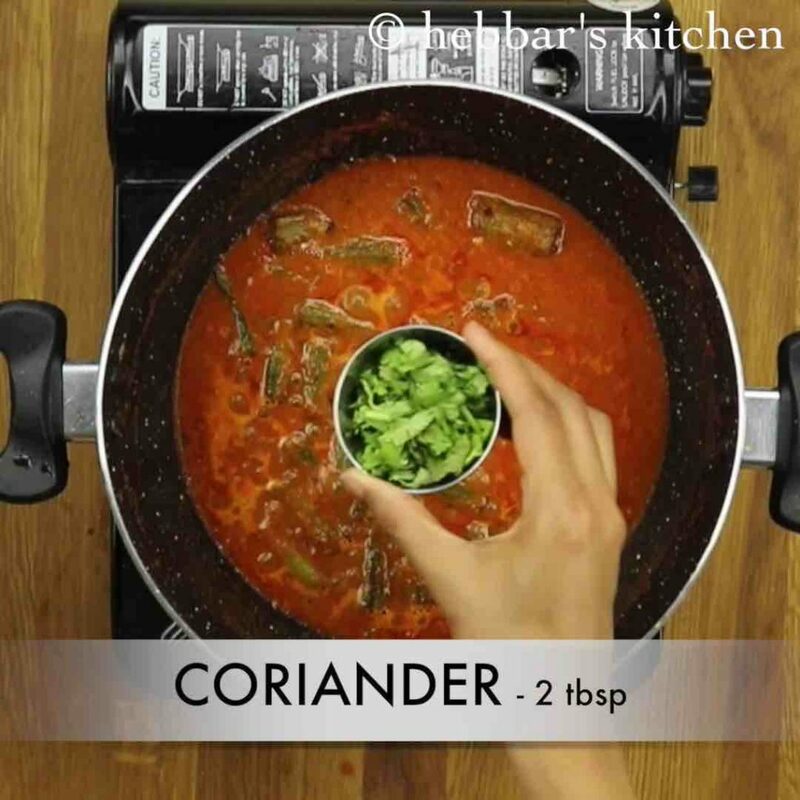 firstly, make sure to select small and tender bhindi to make curry more juicy and tasty. also adjust the spice level according to your preference. 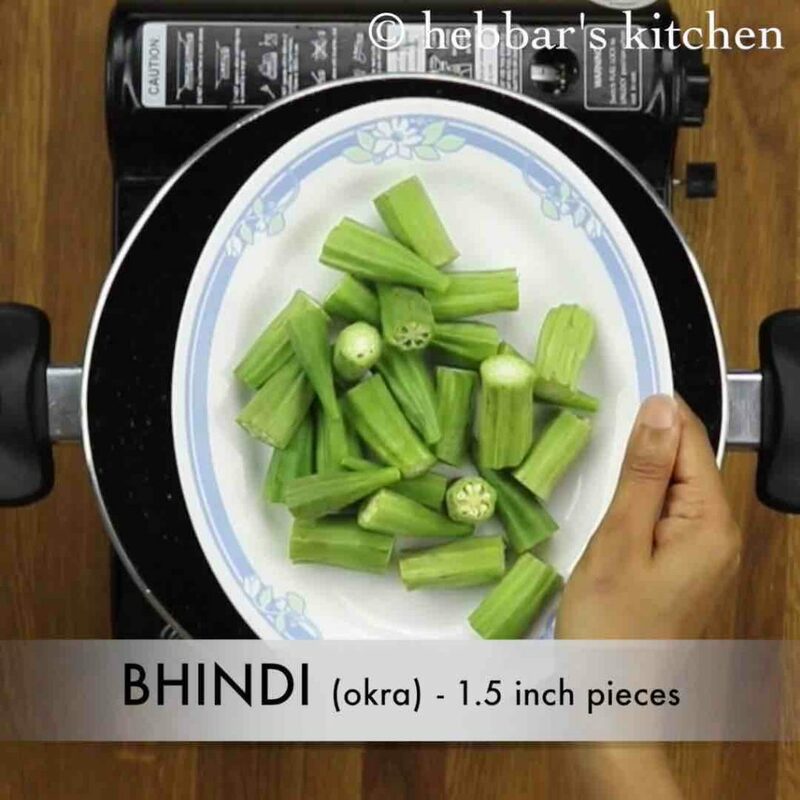 most noteworthy, wash the bhindi and pat dry at-least 1 hour before chopping bhindis. as they turn sticky if there is moisture. additionally add curd or cream to make curry more rich and creamy. finally, do not over cook bhindi as they turn to be soggy in bhindi masala gravy / okra masala curry. Thanks…i am going to try. Your application awesome I live in U.K. And it’s really useful app with photos make my life much esier thank you .just want say suggest something which if you can add some more curry !!! It turned out Great! If you will add a little bit of the ” Kasoori Methi” towards an end. It will bring up the whole test different. Thanks a lot Krishi for trying! Also for sharing the tip. hi.. tried by adding curd at the end.. it turned out awsome!! thanks a lot rishu for trying and suggesting an alternative. Thanks a lot Jaimin for the nice feed back. do let me know how it turned out?